Next Season In The Southeast. Planning is critical for your operation’s success and your colony growth plan is one of several important plans you will need, including your financial plan and the sales and marketing plan. It is better to put your thoughts on paper so you can develop and evolve your plan. 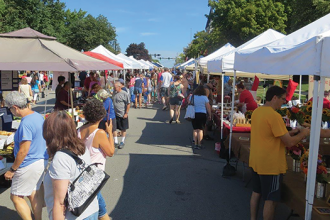 At the minimum, the plan should be well thought out and continually developed as events change, resources are added or deleted and as the season progresses. How many colonies do you currently have? How many colonies do you want to have? Are you going to use 10 frames or eight frames equipment? Eight frame equipment is easier to lift and handle. It also matches four to eight comb feral bee colony average. The bees swarm more but they seem to develop quicker than a 10 frame. Eight frame equipment is easier to handle for pollination. Deep brood chambers and/or supers does minimize equipment but is heavy to lift. 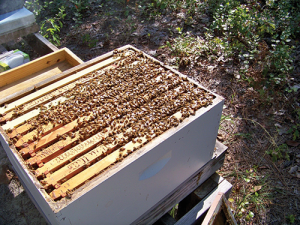 I typically use a deep brood chamber because it is quicker for me to find the queen and it is cheaper equipment wise. Shallow or medium supers should be matched to your nectar flows and the amount of “honey” needed to over Winter. Do you have enough spare equipment to support your growth plan? In South Carolina, I use a deep brood chamber and medium supers. Medium supers match the 40-pound average nectar flow. In addition, we need about 45 to 50 pounds of honey to overwinter colonies. I also minimize different equipment sizes used in my operation. Have you anticipated how much and what type of honey extracting equipment will support your future colony numbers and its cost? If you have ewer than 15 colonies, you may consider working with someone who has an approved honey processing facility instead of purchasing extracting equipment. Is your extracting equipment and facility large enough to support your future plan? 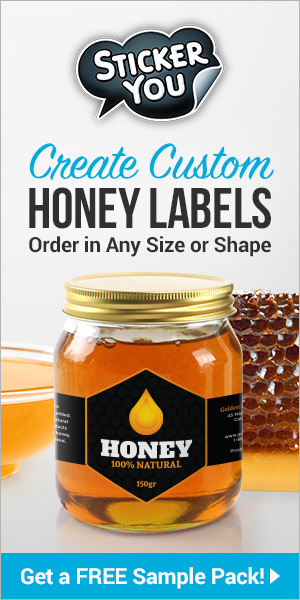 Do you have enough honey storage tanks, buckets and bottling tanks? Do you have a place to assemble and store equipment? Are you going to use your current vehicle, or will you require additional trucks / trailers? Will you rent or purchase the trucks and trailers? 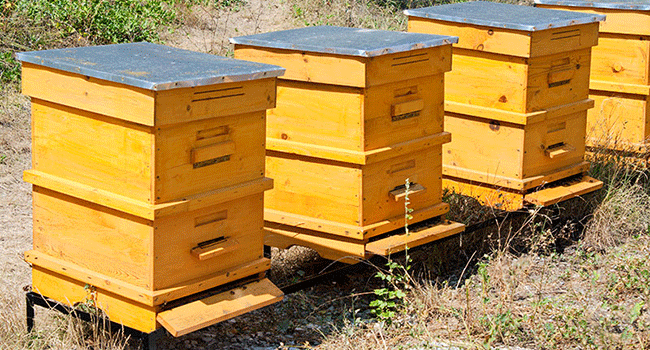 Will colony losses impact your honey yields? How are you going to address Varroa mites? Frames and foundation for the brood chamber, food chamber, and any extracting supers. Are you going to use wax coated plastic foundation in your supers in addition to your brood chamber? 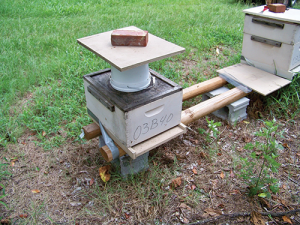 Are you going to use beeswax foundation in your brood chamber and wax coated plastic foundation in your supers? Wax moths are after the dark comb/protein where brood and pollen has been stored. 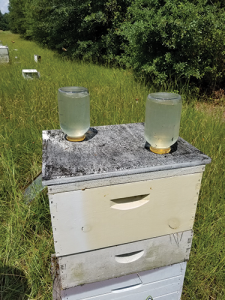 If you use beeswax coated plastic, will you let the wax moths clean up old comb/frames that have been culled from the colony then recoat the frames with beeswax? Will you use 10, nine, or eight frames in your brood chamber and/or supers? I use 10 frames in my brood chamber and nine frames in my supers. Nine frames in the supers result in the bees drawing the comb just past the top bar making it easier to get your uncapping knife under the cell caps. It is debatable whether to use frame spaces in your equipment. Spacers ensure the frames are spaced properly but Small Hive Beetles (SHB) may be able to hide in the back of the spacer. In many parts of the Southeast, it does not get cold enough for long enough to freeze 1:1 sugar syrup. Hence, an extra brood chamber may not be needed around a plastic pail feeder. In addition, 1:1 sugar syrup may not freeze in glass one-gallon jars. 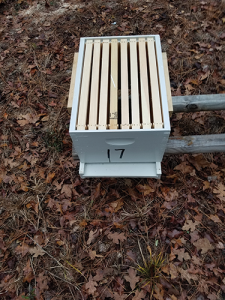 Colony number expansion and splits; how will you make up lost colonies and the resulting bee and frame expense? When will you split the colonies? Will you let the colony raise their own queen? Will you have drawn comb available to aid new colonies? Drawn comb gives the new colony an extra head start timewise. No matter what your strategy, the queens/bees should be ordered in the November/December time frame. If on a farm, will the hives be located such that you will be able to access the hives even after the farmer tills and plants. Miscellaneous equipment needs like smokers, veils, hive tools, bee brushes, etc. are all part of the costs of doing business. What type of top covers are you going to use? In the Southeast we can use a “migratory” cover or a cover made out of 23/32” exterior plywood. Without an inner cover, the migratory cover may become propolized to the top super. However, a hive tool may be easily inserted between the “migratory” cover and top super to remove the cover. An inner cover is needed if a telescoping cover is used to be able to get the telescoping cover off. What type of bottom boards are you going to use? Solid or screened IPM bottom boards. Screened IPM bottom boards results in the bees building their nest further up the equipment stack. Screened IPM bottom boards do allow more ventilation through the colony. This is especially important when moving colonies in warm weather. The Bee Informed Partnership data shows no statistically significant colony mortality differences between solid and screened bottom boards. (support@beeinformed.org). A spreadsheet can be used to develop the colony growth plan which can help determine what equipment is needed and the amount. It also helps in developing an order list while allowing easy editing of the information. This preplanning allows you to shop for the best price for the equipment quality you want. After the colony growth plan is developed, you can develop the financial plan, and sales and marketing plan. 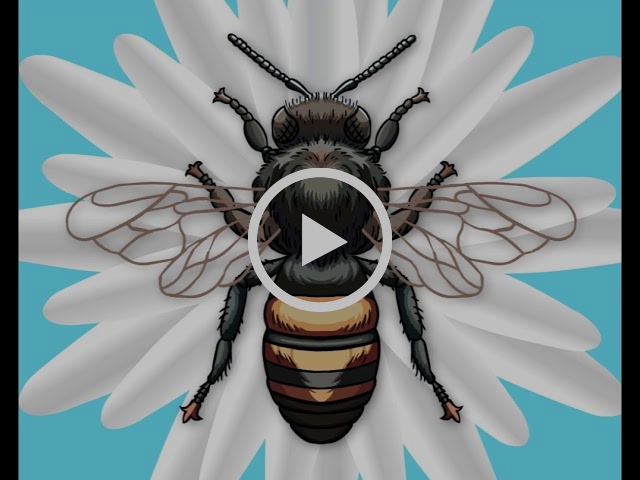 If a small “backyard” operation, the beekeeper may be able to develop these plans in their head. However, once you get to the 50 or more-colony level, the plans should be further developed, with consideration for putting the plan on paper. A lot of thought is required in the Autumn and early Winter. The colony growth plan will help ensure your success next year.